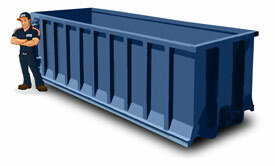 Dumpster Rentals - Convenient, Hassle-Free and Affordable! As a contractor, event planner, or homeowner you understand that a good roll-off company can save you time, money, and plenty of headaches. By utilizing our bundled service, we’ll deliver your dumpster and restroom to an ideal spot for maximum convenience and save you an unwanted call to another company. It’s all about delivering peace of mind with a responsive and on time service. 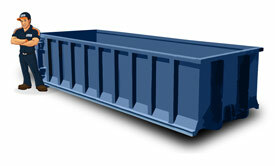 Ideal for smaller projects where heavy items such as dirt and concrete may be disposed of. Its small footprint also allows it to fit nicely on most residential driveways. Perfect for medium-sized construction projects, cleanouts or remodels. The low-profile walls prevent heavy lifting and its size allows it to fit on most residential driveways. 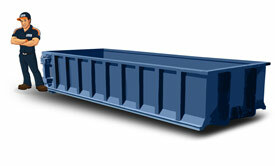 This high-volume container is built with large projects and special events in mind. Equipped with high-profile walls, it works great for large bulky items and lightweight materials. High-profile walls for maximum holding capacity. 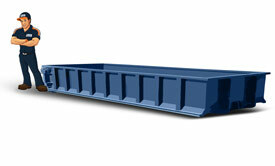 It can easily fit on driveways and will handle bulky objects such as furniture and other lightweight building materials. Hassle-free service saves time and energy. Conveniently placed to increase job site efficiency. Promotes cleaner communities and cleaner lifestyles. Swing door allows easy access for wheel barrows, dollies and etc. Helps cleanups go faster and provides immediate removal when the work is done.